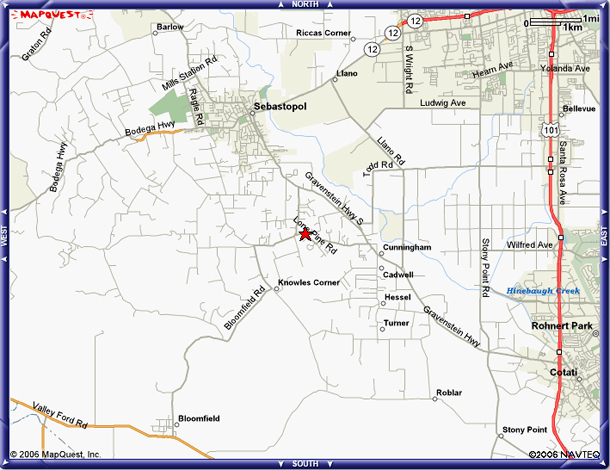 LOCATION: We are located three miles south of Sebastopol, about 50 miles north of San Francisco. We are open for retail and walk-in wholesale on Thursday, Friday and Saturday, 10 a.m. to 5 p.m., for most of the year. We close the last week of December and the first part of January, depending on the weather. Please call to confirm that we are open if you plan to visit during that season, or if it is a federal holiday.